Trenton McKinley suffered severe brain trauma when a utility trailer he was riding flipped over and fell on his head in March. Doctors told his parents he would not recover and that he matched with five children who needed organ transplants. The teenager suffered seven skull fractures in the accident in Mobile, Alabama. At one point, Ms Reindl said, Trenton died on the table for 15 minutes, after which doctors told her he would “never be normal again”. Ms Reindl told CBS News that she agreed to sign the organ donation papers when she learned her son’s organs could save five other children. 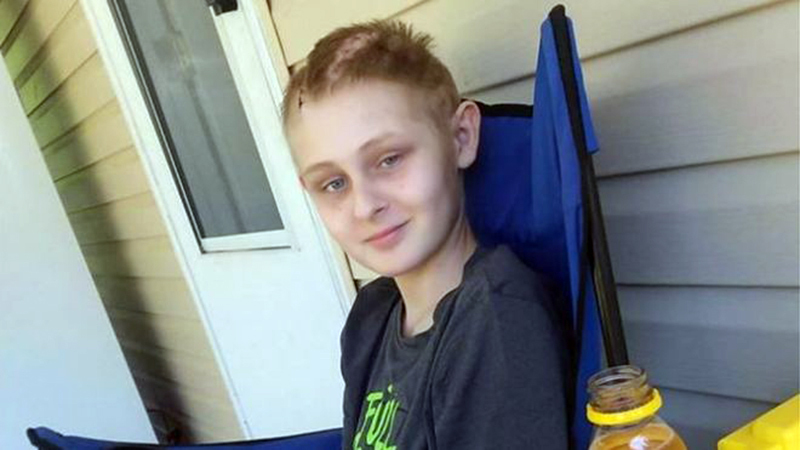 “We said yes, that also ensured that they would continue to keep Trenton alive to clean his organs for the donation,” Ms Reindl said, recalling how her son regained consciousness in March. “I hit the concrete, and the trailer landed on top of my head. After that, I don’t remember anything,” he told WALA-TV. He still has nerve pain and seizures, and will need surgery to reconnect half of his skull. He has been walking and talking, even reading and doing maths, Ms Reindl said, calling it “a miracle”. Trenton himself told WALA he thought he was in heaven while he was unconscious. “I was in an open field walking straight,” the 13-year-old said. The family currently has a fundraiser on Facebook to help with medical expenses.